Mental illness treatment can take place in a variety of settings and typically involves a multidisciplinary team of providers such as counselors, psychologists, psychiatrists, nurses, mental health aides, and peer support professionals. Inpatient or residential mental health treatment. 12-step programs and support groups. How to find a recovery program. Medical hospital with a psychiatric floor. Not slept or eaten for days. Lost the ability to care for themselves due to mental health symptoms. Inpatient treatment, also referred to as residential mental health treatment, takes place in a residential facility on a 24/7 basis. This level of care is best suited for those who need constant medical supervision as well as those with relatively severe, long-term symptoms who have not shown significant progress after outpatient mental health intervention. Other luxury or executive amenities such as computers, Internet access, and workspaces. Do you need help finding a mental health treatment program? Call today. Outpatient mental health treatment does not require participants to live at the treatment center. Instead, participants visit the treatment center or therapist’s office on certain days of the week. The ability to function outside of the treatment environment. Psychiatric medications and outpatient medical management. Dual diagnosis treatment offers comprehensive mental health services for those struggling with both a mental health condition and an addiction or substance use disorder. Dual diagnosis treatment addresses and treats both conditions simultaneously. Both disorders need to be simultaneously treated to maximize the chances of a full recovery. For example, if an addicted person has a co-occurring anxiety disorder, they may relapse to self-medicate the unmanaged anxiety. Treating the underlying mental health conditions and traumas that contribute to the addiction can help prevent relapse and maintain sobriety in the long-term. Psychotherapy (talk therapy) has effectively treated a wide range of mental health conditions and is offered in both inpatient and outpatient settings. During talk therapy, a person or group discusses their issues with a therapist who can help them process their feelings and learn new coping skills. Group therapy: Group therapy is typically led by a therapist and consists of a various number of participants. 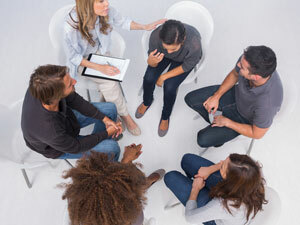 Group therapy is usually focused on specific topics that everyone in the group is working on. For example, a therapist may lead a group therapy session on anger management, postpartum depression, or suicide. Family therapy: Family therapy is a form of psychotherapy where family members meet with a therapist to resolve issues. Family therapy is often conducted by a licensed marriage and family therapist (MFT) who specializes in family therapy. If you’re ready to get help for a mental health or substance abuse problem, call today. Medications can be used to treat the symptoms of mental illness. Medications are often used in combination with psychotherapy and are offered in both inpatient and outpatient mental health settings. Antidepressants: Antidepressants treat the symptoms of depression, but in some cases they may also be prescribed for anxiety or insomnia. Common types of antidepressants include selective serotonin reuptake inhibitors (SSRIs) and selective norepinephrine reuptake inhibitors (SNRIs). Anti-anxiety medications: Anti-anxiety medications can help people who suffer from generalized anxiety, social anxiety, or panic attacks. Benzodiazepines are the most commonly prescribed short-acting anti-anxiety medications. However, these drugs are only meant to be used in the short-term, and long-term use can lead to dependence and addiction. For this reason, there are other non-habit forming anti-anxiety medications that may be prescribed in place of benzodiazepines. Mood stabilizers: Mood stabilizers are commonly prescribed for people with bipolar disorder and related mood disorders to stabilize mood and prevent significant mood swings, mania, and depression. Antipsychotics: Antipsychotics are typically prescribed to treat schizophrenia and other psychotic disorders , and may sometimes be prescribed to individuals with bipolar disorder who are exhibiting psychotic symptoms (often during a manic episode). In addition to psychotherapy and medications, there are many other types of mental health treatment options people may want to consider. Support groups and 12-step programs may be good complementary therapies for people who are undergoing psychotherapy and/or taking medication. Gambling, shopping, video gaming, and other behavioral addictions. Twelve-step programs use an approach built on the 12 steps of Alcoholics Anonymous. Participants often work with a sponsor to complete the 12 steps, and the sponsor is available to help the person with other issues they may be struggling with during recovery, including cravings. Many programs have a spiritual component, but they do not require participants to be religious. Participants choose a “higher power” that they can use to help guide them through the recovery process. This higher power can be whatever the participant wants: God, music, or nature. Though support groups and 12-step programs are free and beneficial, they do not provide medical supervision or offer professional therapy. Yoga: Yoga is a form of exercise that focuses on connecting the mind and body through a series of movements and breathing exercises. Yoga helps improve physical strength and flexibility, and it provides many mental health benefits as well. 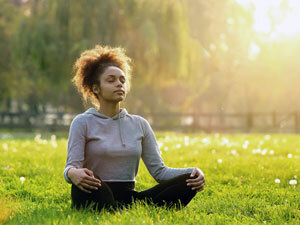 Meditation: Meditation can help relieve stress, anxiety, depression, and other mental health symptoms. Meditation techniques range from mindfulness-based meditation to guided meditation to simple breathing exercises. Nutrition: Diet can affect mental health in many ways. By closely monitoring one’s diet, a person can help improve their overall mental health and well-being and alleviate some mental illness symptoms. 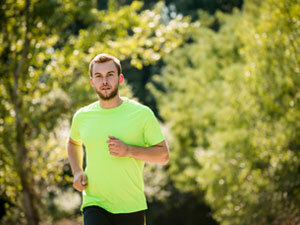 Exercise: Exercise is also an important component of mental health treatment. People suffering from mental health conditions should attempt to do some form of exercise for at least 30 minutes each day to decrease stress. Equine therapy: Equine therapy is a form of therapy that uses horses to ease symptoms of many mental health conditions such as autism, anxiety, and ADHD. If you or someone you love is struggling with mental illness, treatment is available. For more information on your recovery options, contact our recovery support team at .
. National Alliance on Mental Illness (NAMI). Mental Health Treatment & Services.
. National Alliance on Mental Illness (NAMI). Psychotherapy.
. National Institute of Mental Health. (2016). Mental Health Medications.
. National Alliance on Mental Illness (NAMI). Getting Treatment During a Crisis.